Up, Running and Saving Money Already! It is with great satisfaction and excitement that we can close this project on Global Giving because Olalo of Hope-Kenya has successfully purchased a vehicle! With the great support we received from you through Global Giving, plus some outside sponsors, we were able to reach an amount that allowed the purchase of a mini-van for medical and community support purposes. The purchase came late last month and within days was put into life-saving action. Already it has been used multiple times to transport people from Oyugis to receive medical evaluations, surgery and treatments into both neighboring cities of Kisii and Kisumu. It has also been used to deliver food products to several families in need of basic support. We are so very thankful and grateful for your support through this project. The money that has already been saved by not having the need to hire a taxi or renting a vehicle to transport urgent medical care patients has been left in our Urgent Medical Care Fund to help others in need. When you supported us in the project to purchase a van, you didn’t realize it, but you joined with us to help others receive urgent medical care and much needed food basics. One good thing leads to another. Thank you for being part of the Olalo family, and for making a difference in the lives of those in Oyugis, Kenya! 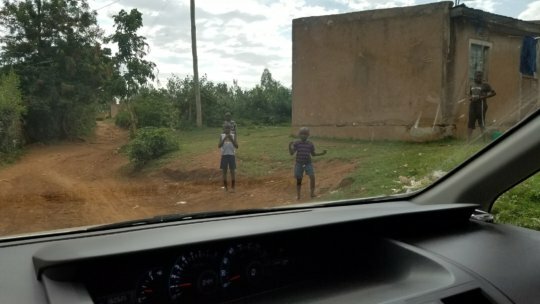 Older PostTraveling Kenya for Help!